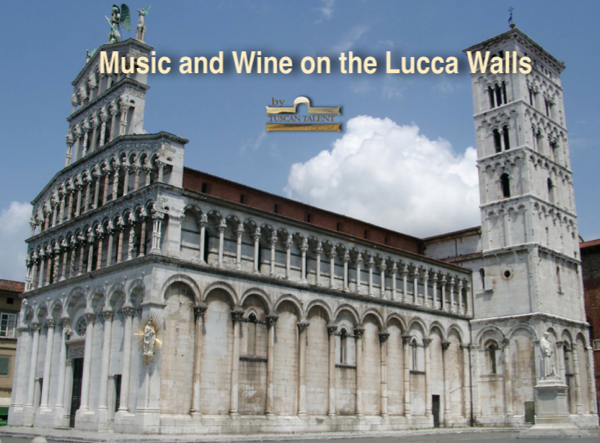 A leisurely stroll along the Lucca walls on a warm, sunny Friday afternoon along with several joggers, cyclists and those simply enjoying the passeggiata; this is one of the many delights of this beautiful medieval city. However, last Friday’s walk was more purposeful than usual, that of arriving at the Casametta San Colombano in time for a delicious aperitivo of Wine and Arias. 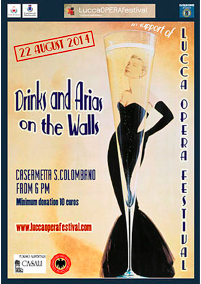 The event was organized by LuccaOPERAfestival, a dynamic young Opera company intent on producing exciting opera performances in some of Tuscany's most attractive venues. The talented baritone, Mattia Campetti, who is also artistic director of the Concerti degli Angeli Custodi is one of the founding fathers and the aim of this cultural association, which was formed in January 2013 is to promote and popularize musical culture with a particular focus on the world of opera. The large and eager audience somehow managed to squeeze into the casametta, which is normally used by students as a study and resource centre and Mattia gave an engaging introduction to the concert. The programme was well thought out and began with a soprano solo, O Mio Babbino Caro. This is one of Puccini’s most loved arias and is taken from his One act comic opera, Gianni Schicchi, written in 1918 as the third and most popular part of Il Trittico. This was a daunting task for a young artist, given its memorable interpretations by great artists like Callas and Kiri Te Kanowa, but Michelle Buscemi entranced the audience with her performance and set the scene for what was to follow. Max, this time playing the part of Pinkerton from Madama Butterfly and baritone Mattia Campetti gave a delightful performance of another duet, Addio fiorito asil and there were impressive performances from the young baritone, Ernesto Petti from Salerno and local boy, the bass, Roberto Lorenzi. The highlights of the concert were provided by Italian baritone, Claudio Sgura who gave an outstanding performance of Jack Rance’s aria, Minnie dalla mia Casa son Partito from Puccini’s Fanciulla del West. He has an enormous stage presence and this together with a beautiful, powerful voice, excellent technique and a natural ability to understand and completely get inside the music and the character he is portraying makes him a world - class performer. Here he is able to move from exquisite lyricism to powerful strength. Claudio is already making a name for himself and has recently returned from a successful performance of Verdi’s Otello where he took on the demanding role of Iago at the Sidney Opera House. The first half ended with the final moments of Act 1 from Tosca – the Te Deum, allowing all the performers to take part. Claudio, who had first performed the role of Scarpia in 2008, sang the part of this villainous chief of police with complete authority and conviction; he really was magnificent and together with the chorus of his fellow artists gave a thrilling finale to the first half. Jonathan Brandani and Aldo Dotto provided the skillful piano accompaniment. In the second half, the concert went from strength to strength and ended with all seven singers performing the famous Neapolitan song, O Sole Mio. As a friend remarked, there wasn’t a dry eye left in the house! Apart from the wonderful music, I was struck by the warm and friendly atmosphere of the occasion – perhaps in part due to the local Montecarlo wine and prosecco! 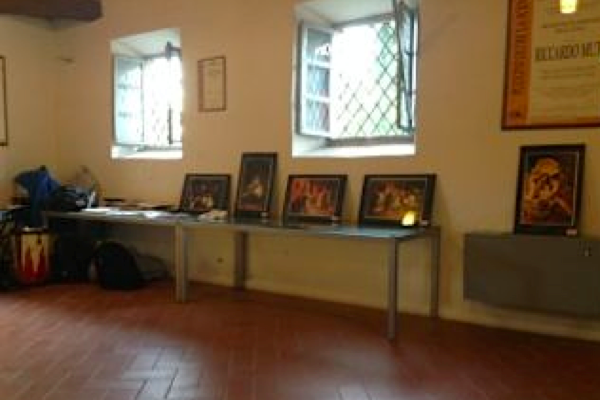 – and it was good to see these young artists acknowledging two special members of the audience, Puccini’s elderly granddaughter, Simonetta and baritone and conductor Herbert Handt who has done so much over the years for the promotion of music in the Lucca area. Look out for the Oratorio degli Angeli Custodi’s next concert on Sunday 7th of September.